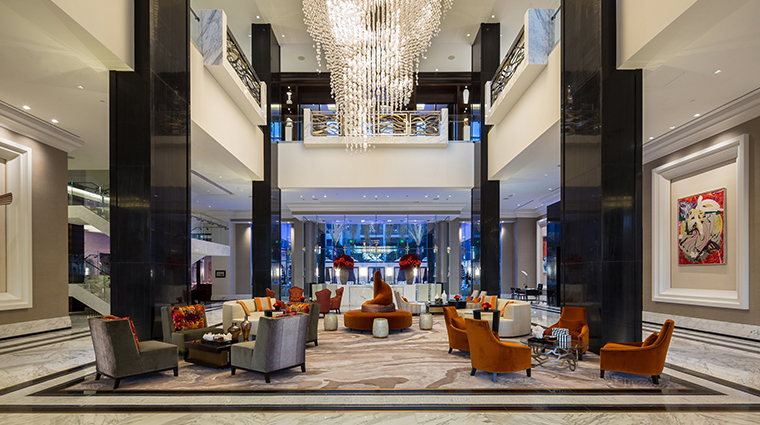 Situated in the tony Uptown neighborhood, The Post Oak Hotel at Uptown Houston is redefining luxury in a sprawling city that already has it all. 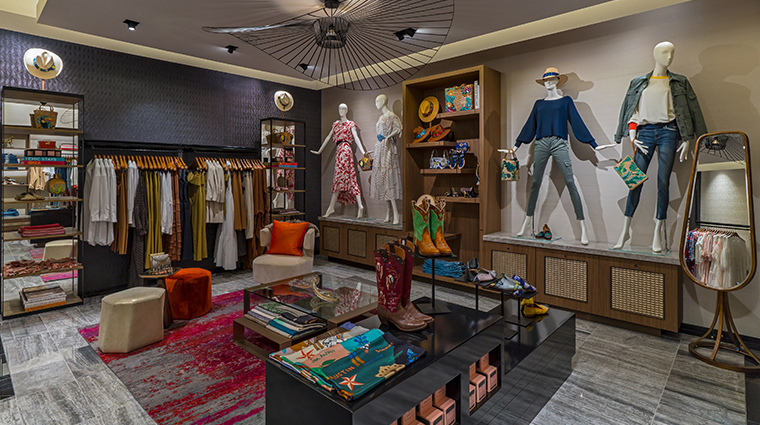 But having it all isn’t enough for billionaire mogul Tilman J. Fertitta, who is raising the hospitality bar for all things extravagant in the nation’s fourth-largest city. 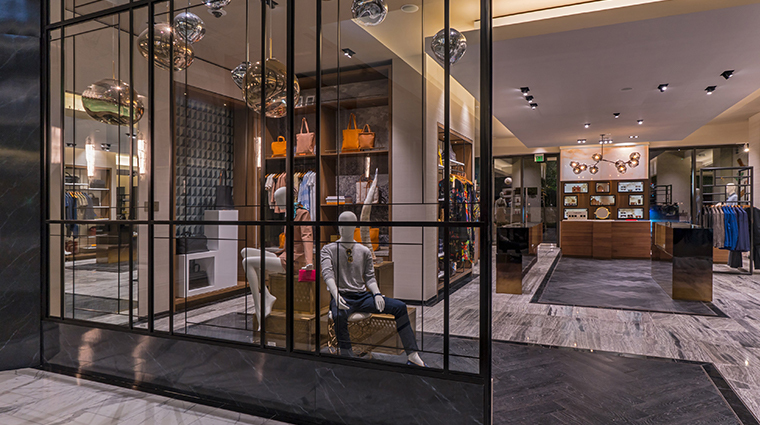 For example, you are greeted in the three-story atrium with a grand chandelier cascading from the third floor. 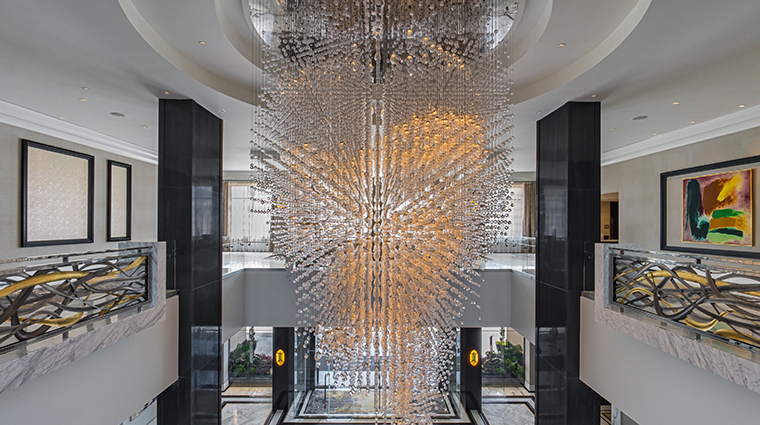 Inspired by the Dubai Opera House, the custom-built fixture was handmade in the Czech Republic with 15,719 crystals, including 739 Swarovski crystal balls, and 1,428 LED light sources, making it one of the grandest hotel entrances in the country — and that’s just the lobby. 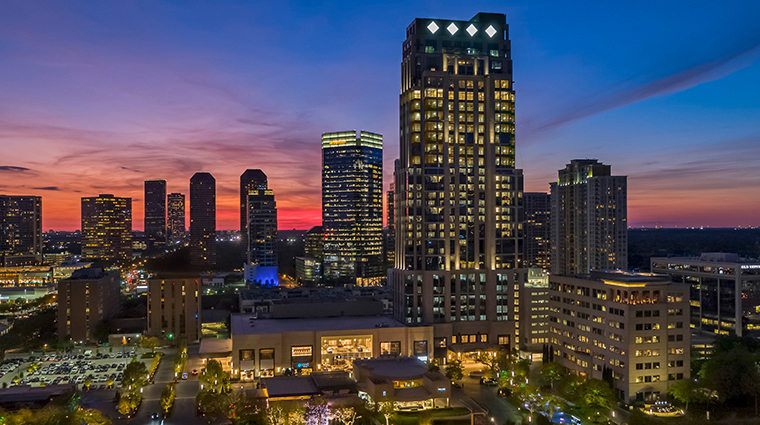 Opened in March 2018, this premier destination sits on a lush 10-acre property, occupying an entire block, with an upscale 38-story tower boasting 250 guest rooms — all featuring more than 500 square feet and spectacular city views. 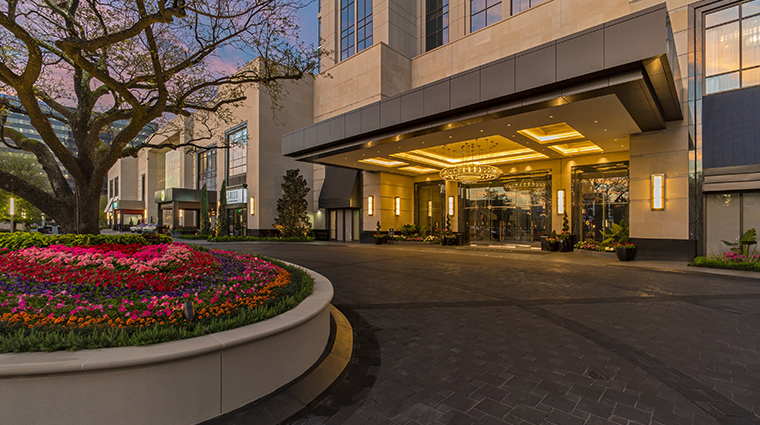 The prime location of this international hotel adds to the allure of Houston’s newest elite destination, located in the Post Oak Uptown area, steps away from shopping mecca The Galleria and a short drive from the recently revitalized downtown. 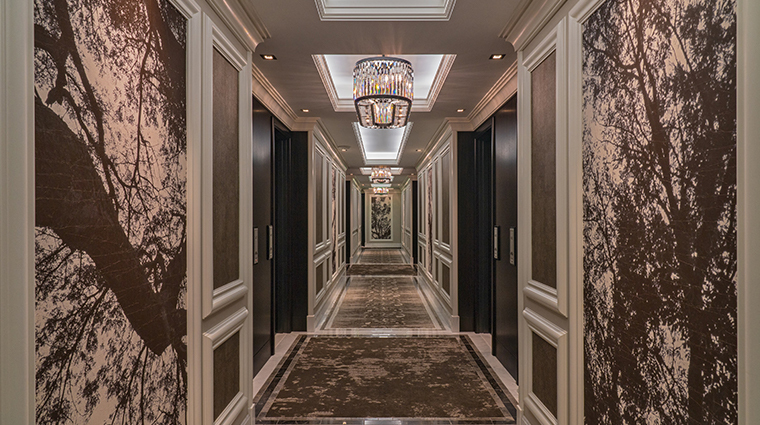 Attention to detail is at the heart of this grandiose hotel. You might notice the 600 fresh roses adorning the lobby’s reception desk along with the handmade chandeliers in every guest room and the custom-made furniture and carpeting throughout the property. 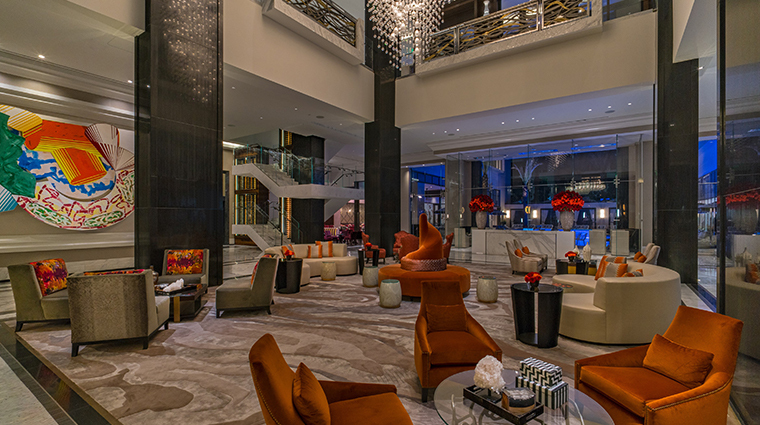 The lavish luxury hotel boasts works of art from Fertitta’s private collection, along with prominently displayed pieces by Frank Stella (so many that the entryway has been affectionately dubbed “The Stella Lobby”), Robert Motherwell, Donald Sultan, Joseph Glasco and two Alex Katz statement canvases, giving the property a museum-quality feel. Setting the standard for ladies who lunch is the brand-new restaurant Bloom & Bee, offering locally inspired cuisine in a pretty-in-pink garden party atmosphere. 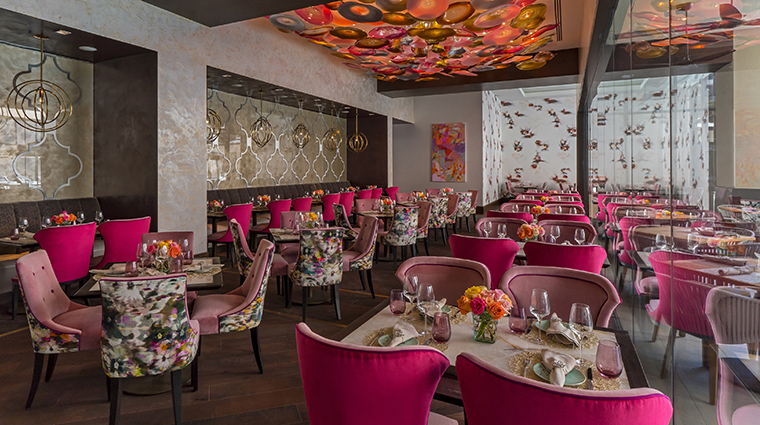 The stunning space is topped off with an abstract hand-blown glass flower arrangement on the ceiling, and the pink velvet dining chairs are worth the visit alone. 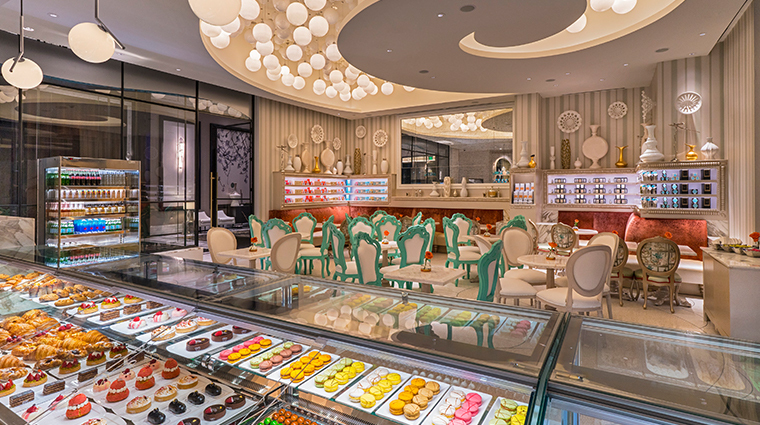 The first-floor Salon at The Post Oak adds a pampered convenience for hotel guests and locals alike. Make an appointment for a blowout or a makeup or nail service before dinner. 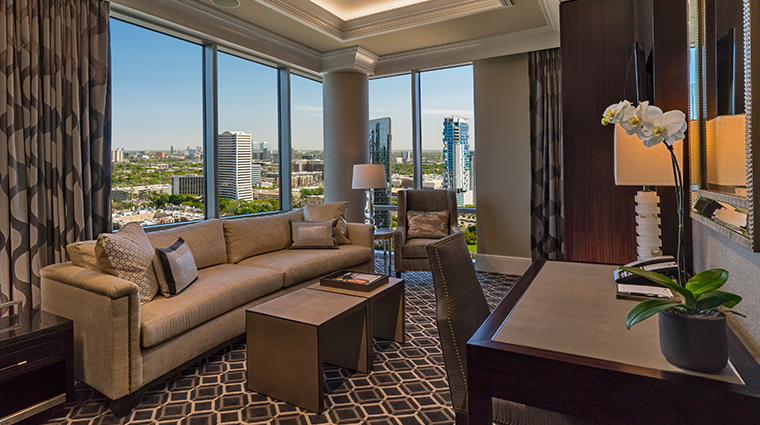 Even four-legged friends are treated to a luxurious stay at this Houston hotel. A pet-friendly in-room dining menu features chef-created dishes such as roasted chopped filet mignon, salmon and eggs scramble and even vegan and gluten-free options. In the east foyer of the Grand Ballroom sits the hotel’s most unusual amenity, a two-story Rolls-Royce showroom. You also can enjoy complimentary chauffeured transportation in a Bentley or Rolls Royce within a two-mile radius — as long as you’re a guest of the hotel. 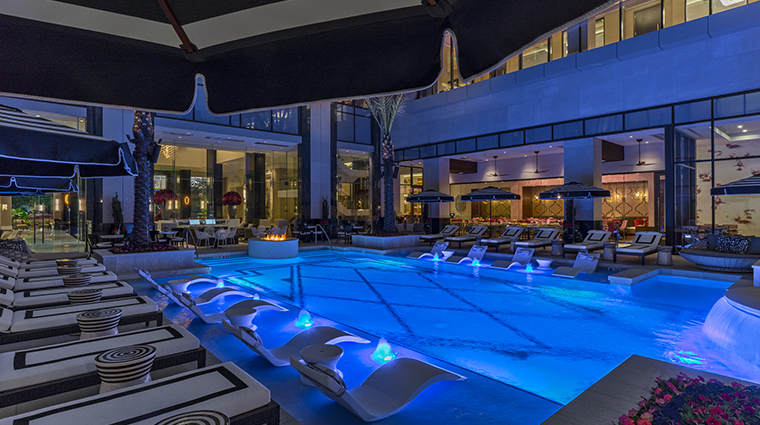 Just beyond the lobby sits the stylish and shaded pool (heated to perfection when needed) with black and white décor accents, an ambient fire pit, a Jacuzzi and five cabanas for rent, along with first-rate customer service delivering everything from food, cocktails, sunscreen and more. 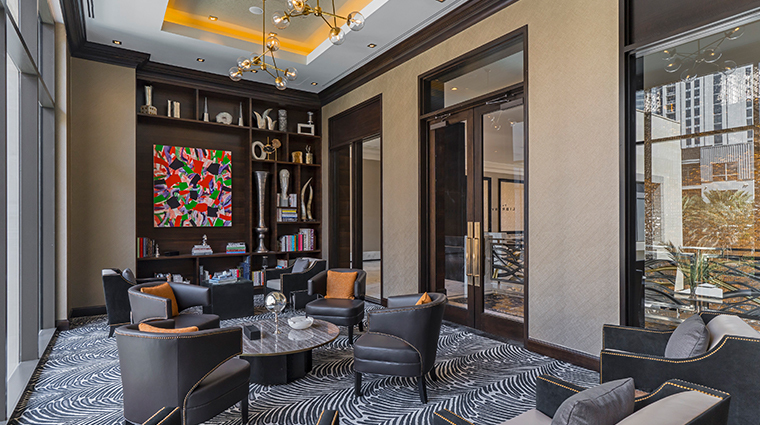 Just as grand as the hotel’s leisure areas, the 35,000-square-foot conference facility and meeting space is strategically separated from the other public areas, complete with a separate valet entrance to help business travelers stay focused. The Uptown hotel’s sumptuous spa is slated to open later this summer, but in the interim, a selection of in-room services is available to help you get your muscle-melting fix. 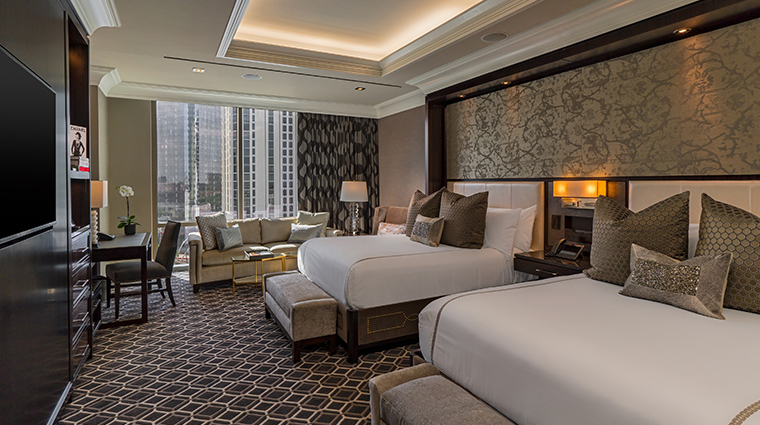 The ultra-modern accommodations range from spacious 500-square-foot rooms all the way up to the 5,000-square foot Presidential Suite, complete with its own private elevator entrance and helipad. All 250 rooms are fully Bluetooth-capable with two (some with three) TVs that seamlessly disappear into the credenza. 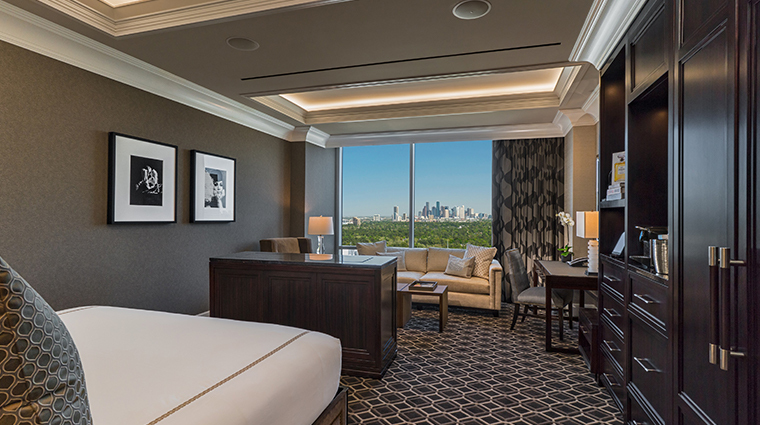 Guest rooms start on the 10th floor with views of nearby Memorial Park, The Galleria or the best vista of all: Houston’s downtown skyline. 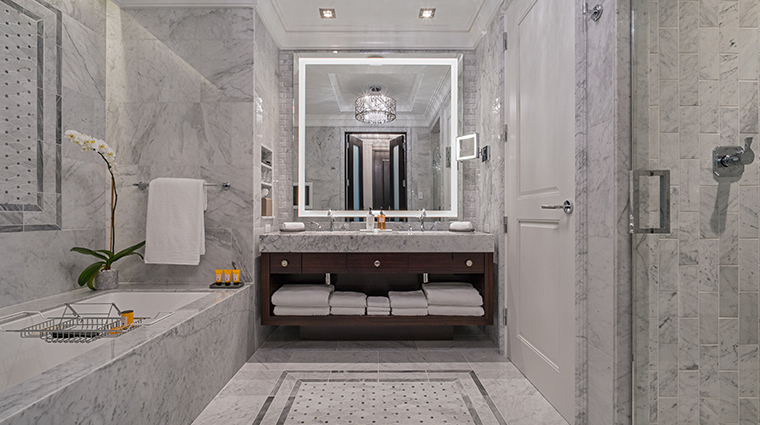 The little touches don’t go unnoticed at this attentive property, with ring holders placed on bathroom counters and a marble toe ledge in the shower for ease of shaving for ladies. Each room comes with a discreet and tucked-away set of personal handheld dumbbells (dubbed “The Wellness Rack”) for those who prefer a quick in-room workout. Five-fixture white marble bathrooms are extra luxurious with dual vanities, separate soaking tubs and showers, 27-inch built-in TVs and Acqua di Parma bath products. The property boasts four restaurants and bars all on the first floor (Bloom & Bee, Craft F&B,Bouchée Patisserie and H Bar), all brand-new concepts, offering a diverse list of menus and vibes, in conjunction with outposts from two of the city’s premier dining destinations, Mastro's Steakhouse and Willie G’s. Adding convenience to luxury, The Post Oak allows you to order anything from any of the onsite restaurants and have it delivered directly to you, whether via room service or anywhere else on the property. Craft F&B is one of the hotel’s more casual dining spots serving elevated comfort food and pub-style fare along with rotating local drafts and craft cocktails on tap. 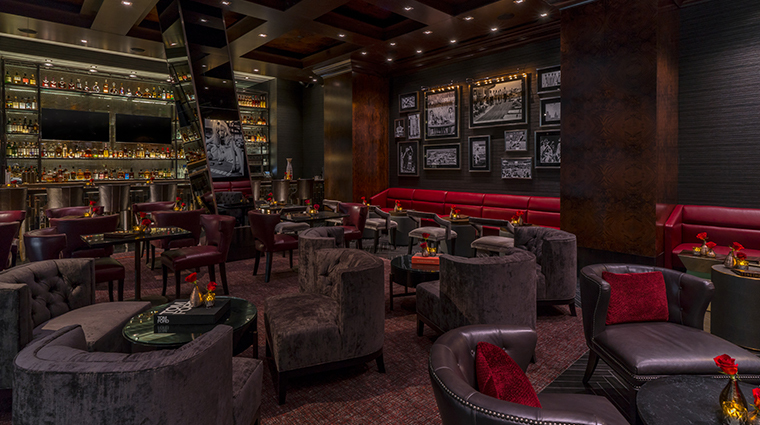 The hotel’s massive wine cellar, aptly named The Cellar at The Post Oak, boasts a $3 million inventory offering more than 20,000 bottles from nearly 25 countries.